Name day of everyone named Anton (meaning priceless in Latin), Antonia, Antoanneta, Antoan, Andon, Doncho, Donka, Donna, Donny, Donyo, Tonyo, Tony. That Feast Day is the first one of the group “Antonovden & Atanassovden” (in the period Jan.16-18) and acts as preparation to the next two larger holidays. Name day of everyone named Tatiana or Tanya (coming from Latin with the meaning "the one who arranges"). With a show entitled "We Are All Colors", which is expected to include 1500 performers, Plovdiv will officially open its program as European Capital of Culture 2019on January 12. 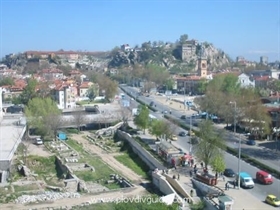 In the coming months Plovdiv will host more than 300 projects and 500 events. Name day of everyone named Yordan/ka (named after the holy river of Jordan), Yonko/a, Daniel/a, Bozhan/a, Bozhil, Boyan/a, Bogdan/a and Bozhidar/a(both meaning "God's gift"), Bogolyub/a, Boncho, Bonka, Bogomil/a (meaning "Dear to God"), Bistra. Name day of everyone named Vassil, Vassilka, Vassilena, Vesselina, Vesselin, Vessela, Vessie, Veska, Vulko (the name"Vassiliy" in Greek has the meaning of "regal").